Magazine is hardly a new format, but it is one that is often overlooked. Much has changed over the years, the possibilities of magazine are endless. Once considered a sacred format, magazine format has evolved from just something to buy on newsstands to something you can create yourself. 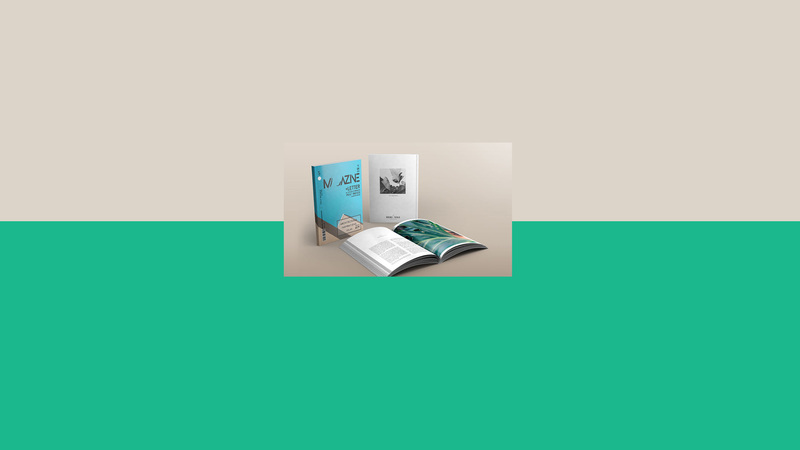 Compact, lightweight, and low cost, some professionals are even leveraging the magazine format as a portable way to create a portfolio of their work. While there’s many great reasons to make a magazine, here’s ten important tips to consider before you make your own Magazine. 1) Magazines are less formal and treated differently than books. I can’t imagine someone taking their prized, hardcover, first-edition book to the pool while on vacation, but I can surely see that same person taking a stack of magazines. A magazine is entirely consumable. Read, then pass along to someone else. 2) Nearly all professional magazines are printed on a schedule: weekly, monthly, or even quarterly. By creating a magazine, you imply to your audience a series is coming. This is a great way to keep loyal readers engaged in your content and to keep them coming back for more. 3) The nature of magazine is inherently collaborative. Each issue uses multiple writers, photographers, and editors to complete it. So, creating a magazine is a great way to network and collaborate with your fellow creatives. 4) Blurb’s magazine format has the option of printing images and/or text on the inside of the front and back cover. This is a nice design addition that is exclusive to this print format. 5) Starting at just $3.99 in the US, Blurb’s magazines are one of the most cost-effective formats for any project. Premium Magazines have a high-end magazine finish with a heavier cover. Economy Magazines have a lighter weight and lower print fidelity for a lower cost. 6) Blurb requires that all magazine page counts be divisible by four. You can always add blank sheets at the end to make your own magazine fit this page count. But don’t worry—if you use Blurb’s software, it will let you know if your magazine’s page count is incorrect. 7) Even with a large page count, a magazine’s spine is relatively small. We suggest using an image, solid color, or texture on the spine instead of text. 8) Never skimp on your cover. As they say, you only have one shot to make a great first impression. Make sure you cover is compelling by using high-impact photography and a professional header. A good rule of thumb is using one main headline, and fewer than 5 sub-headlines to ensure a clean layout. Browse your local bookstore’s magazine section and take note of the covers that stand out you. 9) Think in spreads, not pages. Readers absorb magazines across two pages, so don’t be afraid to design across the spread. But don’t forget to give plenty of white space around your content, especially in the gutter. We suggest using at least 1/4–1/2″ (or even more) of a page margin from the edge. 10) Typography is especially important with designing magazines. Photos and color can and will change with each issue, but typography will remain a constant. Take the time to consider the personality you want your magazine to have. For example, serif fonts have an upscale feel while sans-serif font imply modern and youthful content. Have you created a magazine? What are your top tips? Leave them in the comments below!